Goodgod’s Danceteria was packed at the first Dutty Dancing. And we’re doing it again! 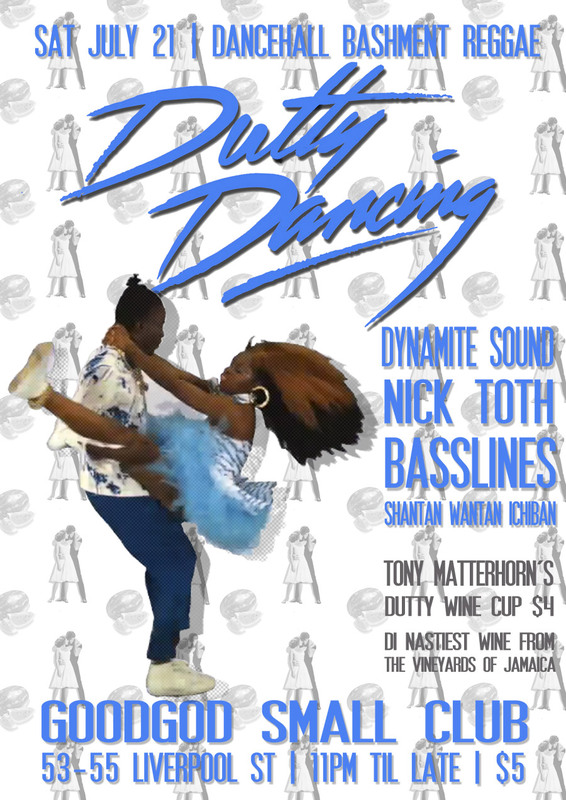 DUTTY DANCING RETURNS! Yet again, the best of the best reggae sound systems join forces for one more night of tropical riddims and sexually inappropriate dancing. This entry was posted in Events, Freeloads and tagged bashment, basslines, dancehall, dutty dancing, dynamite sound, goodgod small club, nick toth, promo mix, reggae, shantan wantan ichiban. Bookmark the permalink.